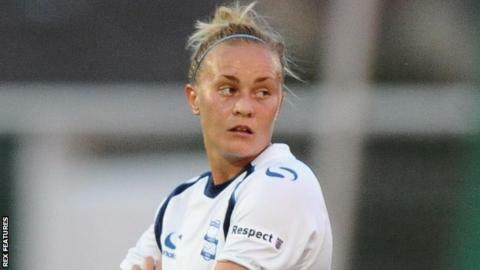 Birmingham City Ladies midfielder Alex Windell has signed a new contract with the Women's Super League One side. The 25-year-old scored three goals in 10 league appearances last season as the Blues finished sixth in the table. She started her career at Bristol Academy, before joining Birmingham in January 2015. "Her versatility is a great weapon to have as we look to build and move forwards," manager David Parker told the club website.